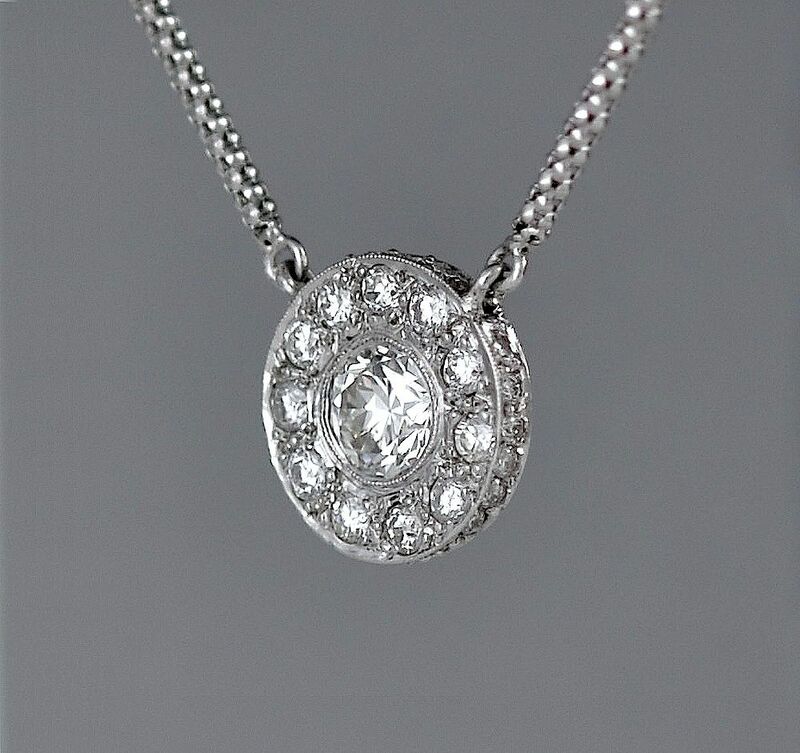 The 18ct white gold pendant has a round brilliant cut diamond in a rub over setting in the centre. There are 11 round brilliant cut diamonds pave set around it and a further 20 round brilliant cut diamonds pave set around the circumference. 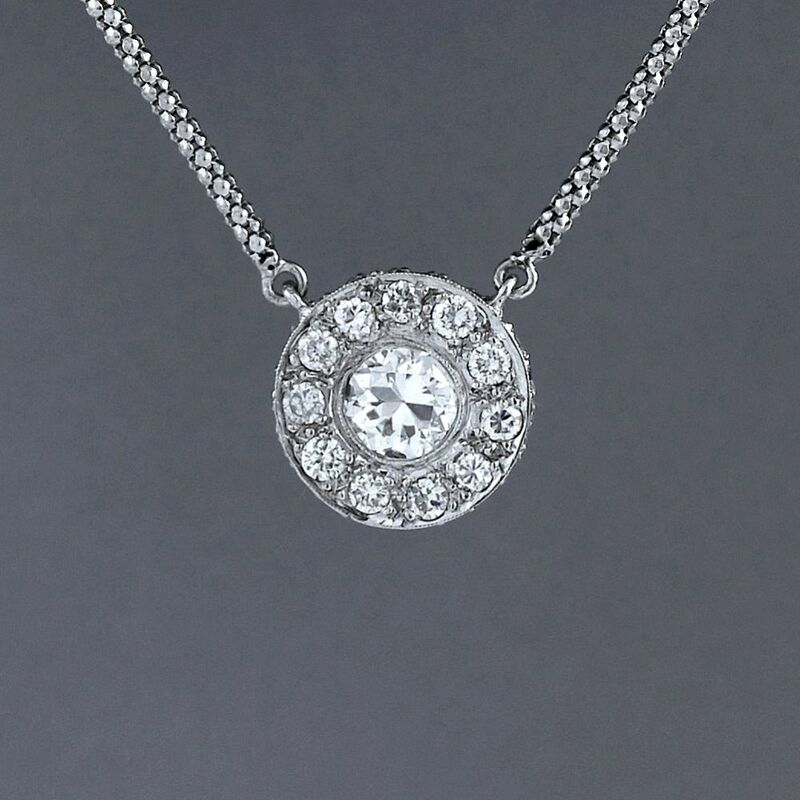 There is an 18ct white gold chain fixed to the top of the pendant. This pendant has been handmade to Alan's design.